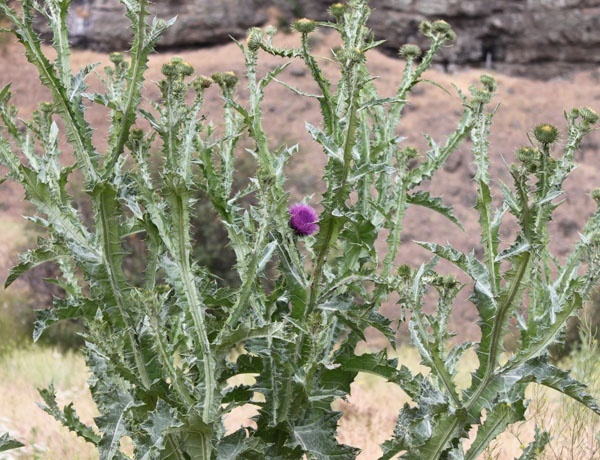 Scotch Thistle is a declared noxious weed. • Robbing subsequent crops of available soil nitrogen. • Decreasing the amount of stored soil moisture. • Reducing crop emergence due to the physical and/or chemical (allelopathic) interference at seeding time. A study by the Cooperative Research Centre (CRC) for Australian Weed Management found that summer weeds can lock away large amounts of nitrogen in the weedy biomass, rendering it unavailable for crop growth. Weed burdens of 2.5 tonnes (t)/ha can cause a net loss of available soil nitrogen and burdens of more than 3 T/ha can reduce subsequent wheat yields by as much as 40%. In another Grains Research and Development Corporation (GRDC) funded study in South Australia, it was found that the major impact of summer weeds was on soil moisture. Summer weeds can also impede crop emergence. Moderate to heavy uncontrolled weed growth can result in reduced crop emergence in minimum tillage systems due to the impenetrable stover layer left on the soil surface. Wireweed for example, has long tough and wiry stems which can get caught in the tynes at seeding. Some weeds are ‘allelopathic’ where toxic substances are released directly from plant’s roots, or during the decomposition of their residue. These toxic substances can inhibit the subsequent germination of the crop. In the CRC study, allelopathic weeds (such as caltrop) reduced subsequent wheat emergence by as much as 25% due to the chemicals that were exuded from the roots. Controlling summer weeds early will conserve valuable soil nitrogen and moisture for use by the crop during the following season. For example, a Western Australian (WA) grower at Salmon Gums reported an average farm crop yield increase of 400 kilograms (kg) per hectare (ha) since a consistent summer weed control program was started. 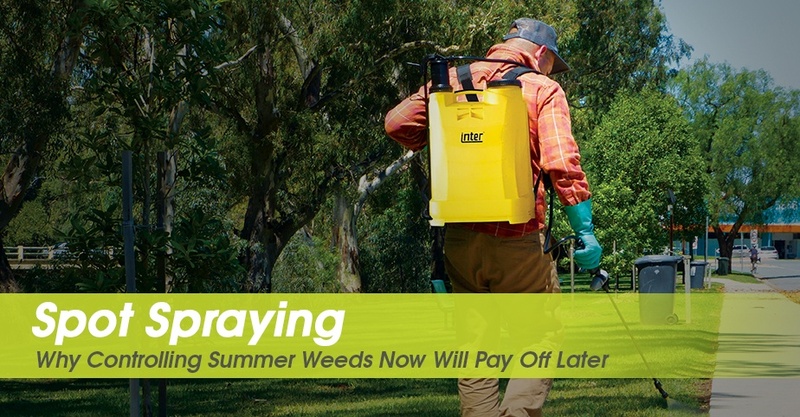 Of course the benefits can also be long term because effective spraying can reduce weed numbers in subsequent years and run down the seedbank. 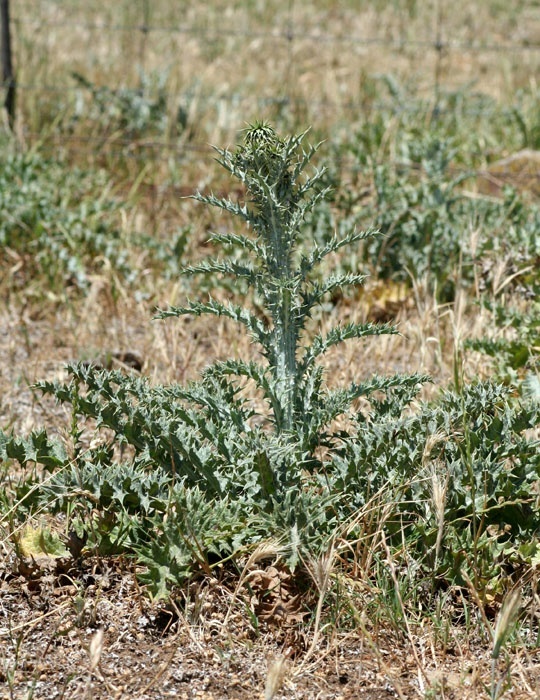 llyrian thistle is a prohibited weed in many regions. » Water rates should be kept high (at least 60 Litres/ha). » Add a surfactant and/or spraying oil to all post-emergent treatments unless otherwise directed on the label. » Do not spray stressed plants. » Spray grazing can be effective at high stocking rates. » Glyphosate, 2,4-D, metsulfuron, atrazine and triclopyr are the most common herbicides used for summer weed control. » Where summer grasses are present, glyphosate at rates around 2 L/ha are generally required. 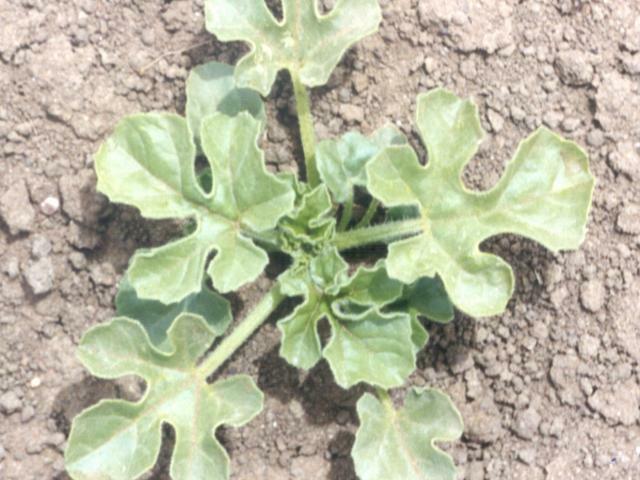 » Metsulfuron provides cheap control of wireweed, triclopyr is generally preferred for melon control and atrazine for small crumbweed (“mintweed”). » 2,4-D controls a wide range of broadleaved weeds and is preferred if stock are available for spray grazing. The ester formulations are usually more effective for summer weed control because they are oil soluble and more able to penetrate the waxy surfaces or stubble. » Moisture stress in weeds is common in summer and reduces the effectiveness on most herbicides. This can be partially overcome by spraying early in the morning. However at this time of day, inversions may be present which could lead to excessive drift. Avoid spraying during still conditions.